If you know your PIP levels, you’ll know that you’ve got the correct resource investigating a specific crime type. In other words, you’ll not be allocating a Detective Inspector to go out and investigate the theft of someone’s car or a Police Constable to track down a kidnapper. 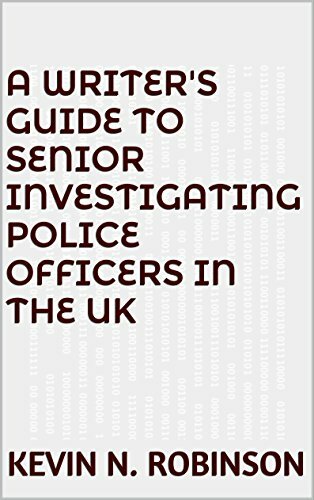 PIP in British Policing relates to the Professionalising Investigation Programme. It ensures that staff are trained, skilled and accredited to conduct the highest quality investigations in each PIP level. In simple terms, Level 1 investigators tend to be uniformed Police Constables (PCs). Level 2 investigations are generally carried out by a Detective Constable (DC) who is part of the Criminal Investigation Department (CID). Level 3 investigations are usually led by at least a Detective Inspector (DI) who may be attached to CID or a specialist unit such as a Major Crimes Unit. Level 4 investigations require the leadership of a Senior Investigating Officer (SIO) who may be any rank from DI to Detective Chief Superintendent (DCS). As with most things in life, there are always exceptions. Have you got the correct investigator involved in your fictional crimes? To find out what types of crime fit into which levels, make sure you follow or subscribe to this blog or if you can’t wait, you could always seek out the answer in your very own copy of the updated and expanded British Police and Crime Directory for Writers and Researchers 2016, which you can acquire by clicking on the link above or the image below. Thanks for posting the link, I might just go and buy a copy. Very informative. Thanks Kevin. Love your blog post as they are always useful. Thanks. This answers a question I did have. Hi Kevin, this is perfect – you seemed to read my mind as i was just perplexing over this.